A variety of conditions may interfere with adequate ventilation, and the configuration of the chest may indicate lung disease. An increase in the anteroposterior diameter is seen in advanced chronic obstructive pulmonary disease. The anteroposterior diameter tends to equal the lateral diameter, and a barrel chest results. The ribs lose their 45° angle and become more horizontal. A flail chest is a configuration in which one chest wall moves paradoxically inward during inspiration. This condition is seen with multiple rib fractures. The spinal deformity kyphoscoliosis results in an abnormal anteroposterior diameter and lateral curvature of the spine that severely restricts chest and lung expansion. Figure 13-6 depicts a patient with severe kyphoscoliosis. Pectus excavatum, or ''funnel chest,'' is a depression of the sternum that produces a restrictive lung problem only if the depression is marked. Patients with pectus excavatum may have abnormalities of the mitral valve, especially mitral valve prolapse. Figure 13-7 depicts a patient with pectus excavatum. Pectus carinatum, or pigeon breast, which results from an anterior protrusion of the sternum, is a common deformity but does not compromise ventilation. 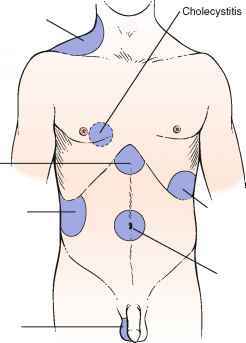 Figure 13-8 depicts a patient with pectus carinatum. Notice the prominent sternal ridge and the ribs slanting steeply away on either side. Figure 13-9 illustrates the various configurations of the chest.